An aerial shot of the Pantex Plant, where US nuclear weapons are assembled and taken apart. Government photo, undated. 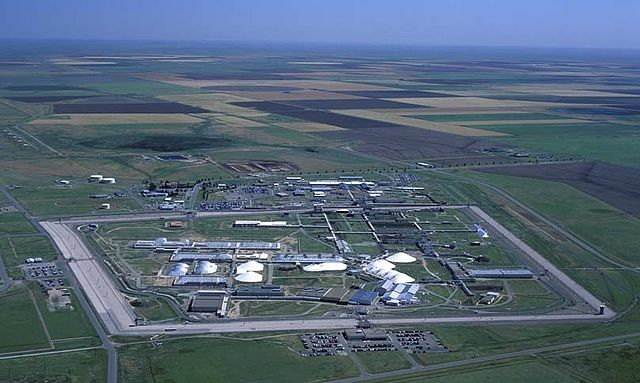 Unlike the commercial nuclear power industry, which consists of a relatively small number of reactor designs, the nuclear weapons complex includes a host of one-of-a-kind facilities, many built 50 to 70-plus years ago. Over the decades, each Energy Department site in the complex has created its own unique culture, shaped by secrecy, isolation, and demands of the Cold War nuclear arms race. Since making the most dangerous weapons in the world involves working with some of the world’s most dangerous materials, the employees in the nuclear weapons complex need a high degree of protection against workplace exposure to radiation and toxic materials. The United States is already paying a stiff price for the harm caused to the workers who made nuclear weapons through the 1980s. To date, 120,599 deceased and sick nuclear weapons workers have been paid $15.37 billion in compensation and medical care. Unhappy with public access to the board’s weekly staff reports, Frank Klotz, then administrator of the National Nuclear Security Administration, proposed making them secret last year, with board member Hamilton’s active support, claiming the reports interfered with the agency’s mission. The proposal was withdrawn in the wake of news reports on safety problems in the nuclear complex. One of the Defense Nuclear Facilities Safety Board’s biggest challenges involves the Los Alamos National Laboratory, where the Trump Administration hopes to make dozens of plutonium weapons components, known as “pits,” necessary to ignite a nuclear explosion. Despite repeated recommendations by the board, Los Alamos refuses to reduce the approximately five tons of plutonium stored onsite, in facilities that could release it to the environment. By 2012, in a decisive act of no confidence, nearly all the safety experts responsible for preventing nuclear criticality accidents at Los Alamos resigned in protest over what has been described as the “cowboy culture” at the lab. The NNSA couldn’t ignore the mass protest, which led to a four-year closure of the lab’s plutonium processing facility, known as “P-4.” Now, however, the Trump administration is aggressively pushing to restart nuclear weapons production on an industrial scale, giving Los Alamos a green light to make plutonium pits in much greater numbers at an antiquated facility that is unable to demonstrate it can meet safety requirements. A senior scholar at the Institute for Policy Studies, Robert Alvarez served as senior policy adviser to the Energy Department’s secretary and deputy assistant secretary for national security and the environment from 1993 to 1999. During this tenure, he led teams in North Korea to establish control of nuclear weapons materials. He also coordinated the Energy Department’s nuclear material strategic planning and established the department’s first asset management program. Learn more about Mr. Alvarez here. This article was published August 30 in the Bulletin of the Atomic Scientists.